Oil Sakura 1 is a fine piece of artwork. It is 100% hand painted on canvas. 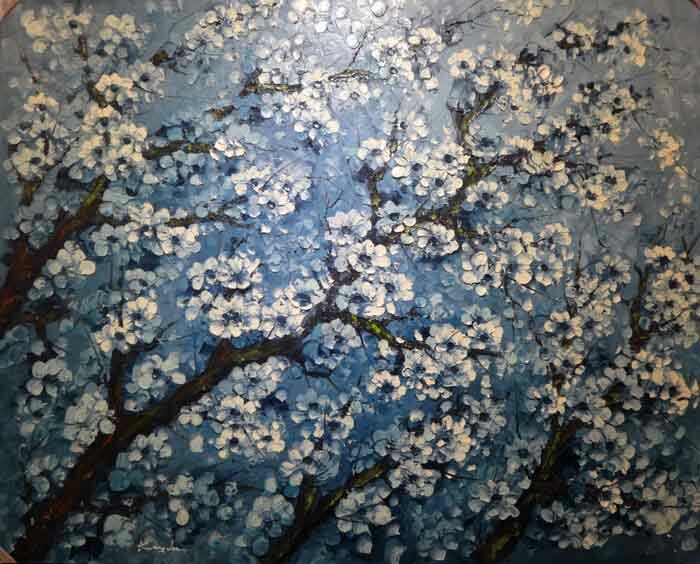 This painting of a cherry blossom tree is done with oil paints and has a great thick textured look to it. And have a look at those colours! so vibrant!. Size 150cm x 120cm. It is available stretched on a frame ready to hang, or as canvas only.